While pressure relieving cushions and mattresses can provide excellent levels of protection and comfort to patients, for sensitive areas additional support may be needed. The Harvest Pressure Relief Heel Padding is designed to offer a high degree of patient comfort through a generous amount of fibre filling, protecting the heel from pressure sores and preventing skin damage. These heel pads will provide a high degree of comfort to the patient, featuring edges that are fixed with Velcro strapping to secure around the joint. 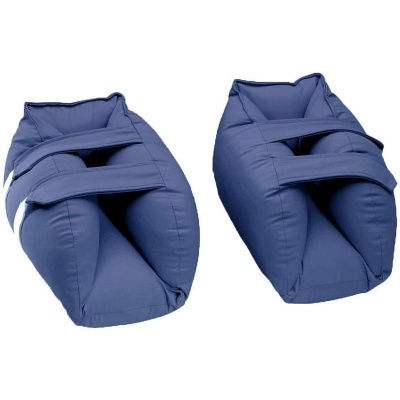 This secure padding delivers high levels of comfort and protection while the patient is seated or in bed, providing peace of mind for patient and carer alike. To maintain high levels of hygiene, the heel pads are fitted with waterproof and vapour-permeable covers, allowing the cushions to breathe while protecting them from spills and fluids.